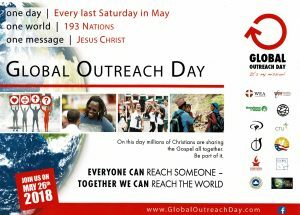 When we hear the words GLOBAL OUTREACH we are immediately reminded of the March and October World Mission Drives, and those mission offering sent from the local church. THIS IS TOTALLY DIFFERENT from what we’ve been accustomed to. 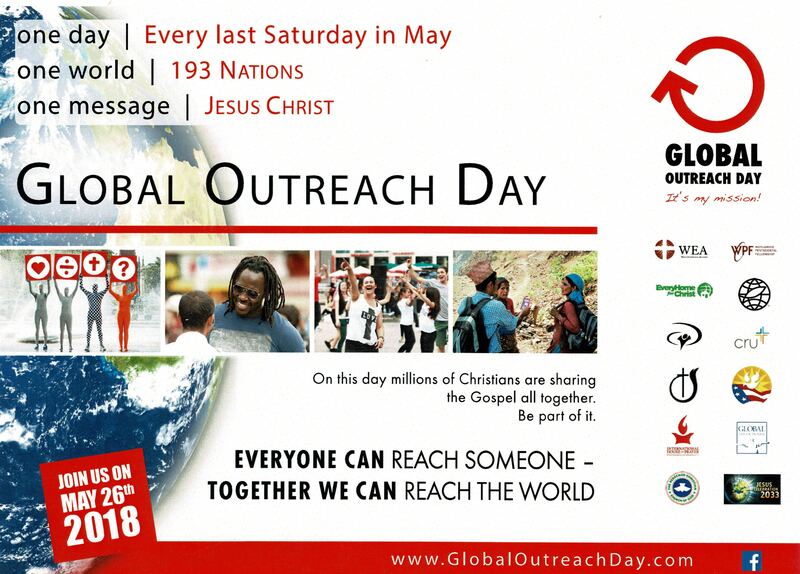 Church movements from around the world are committing to EVERY last Saturday in May as a day to specific SHARE THE GOSPEL with someone. Oh how I desire that all of our local churches would promote this. So, on May 26th, would you PLEASE consider focusing on sharing the gospel on that day. IF EVERY MEMBER WERE TO SHARE THE GOSPEL ON MAY 26, 2018, HOW MANY MIGHT ACCEPT CHRIST?